Zorin Splash Screen Manager is a nice and simple application to install, change and manage different plymouth themes in Ubuntu. It has got a GUI which is very easy to understand and use. Zorin Splash Screen Manager is available in both 32bit and 64bit versions. 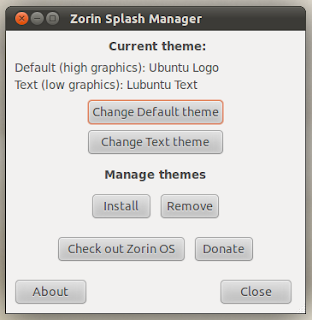 Zorin Splash Screen Manager is an application custom made for Zorin OS project, a Linux distro based on Ubuntu. 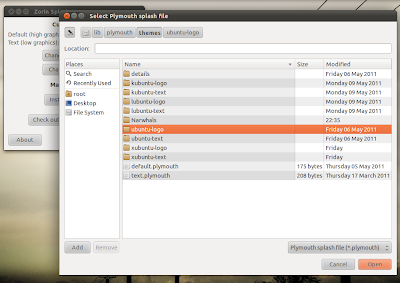 You have the options for not only changing the current plymouth theme, but also to install new plymouth themes and removing them as well. Bottom line is, it just works! And double click to install it. 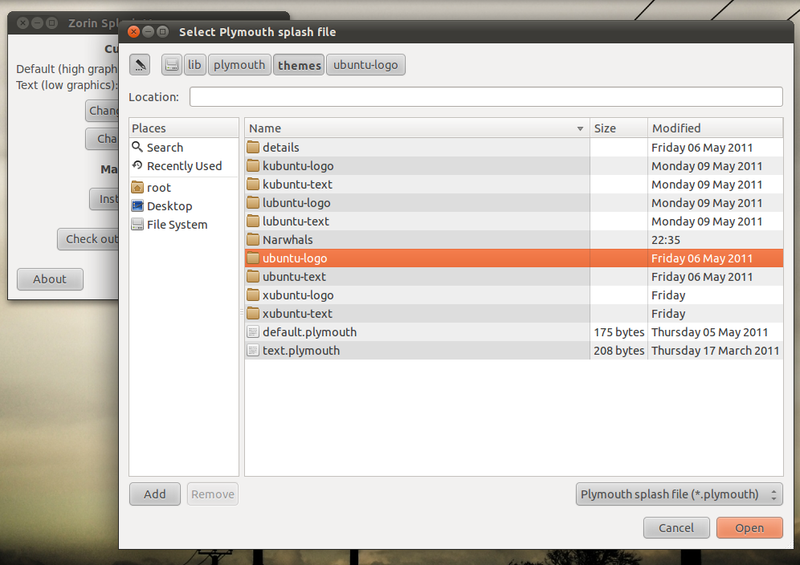 Search for Splash Screen Manager in Ubuntu Unity dash. 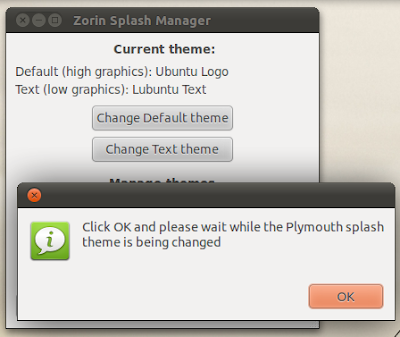 After installing Zorin Splash Screen Manager, I tried installing some new plymouth themes in Ubuntu and all of them worked just fine. We will soon feature some of the best plymouth screens available out there. Stay tuned. Meanwhile, take a look at our collection of addictive games from Chrome Web Store.